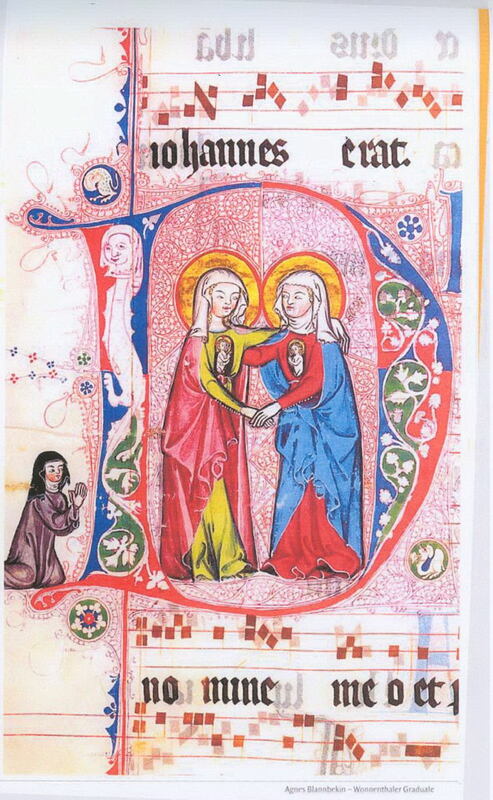 May 31, 2013 is the Feast of the Visitation. About one week after conceiving Jesus by the power of the Holy Spirit, and at the conclusion of a 4 day journey, Mary arrives at the home of Elizabeth and Zechariah. We present two reflections: 1. Theological, 2. Poetical. Seeking the world’s gain in an unthinkable experience. This year, because March 25th fell in Holy Week, the great feast day of the Annunciation of the Lord to Mary has been moved to Monday April 8, 2013. This feast day also marks the Incarnation of Christ our Lord. Due to this date change, Divine Mercy Sunday (the 7th) and the Annunciation (the 8th) are back-to-back. The worldwide Pro-Life community has always identified itself with the Mercy and forgiveness of God and must continue to emphasize this Program of Mercy. In the unborn and newborn Christ Child we see that God’s mercy is humble, vulnerable and therefore open to misinterpretation as mere weakness. But the Christ child’s humility and vulnerability, like Mercy and forgiveness are expressions of the redemptive power of God. The Pro – Life movement must continue to reflect mercy and forgiveness, in order to reach out to those most invested in so-called “abortion rights” and the destruction of humble, vulnerable human life. In a subject that became popular in Spain during the 17th century, an angel appears to St. Joseph in a dream and explains that Mary has miraculously conceived a child. 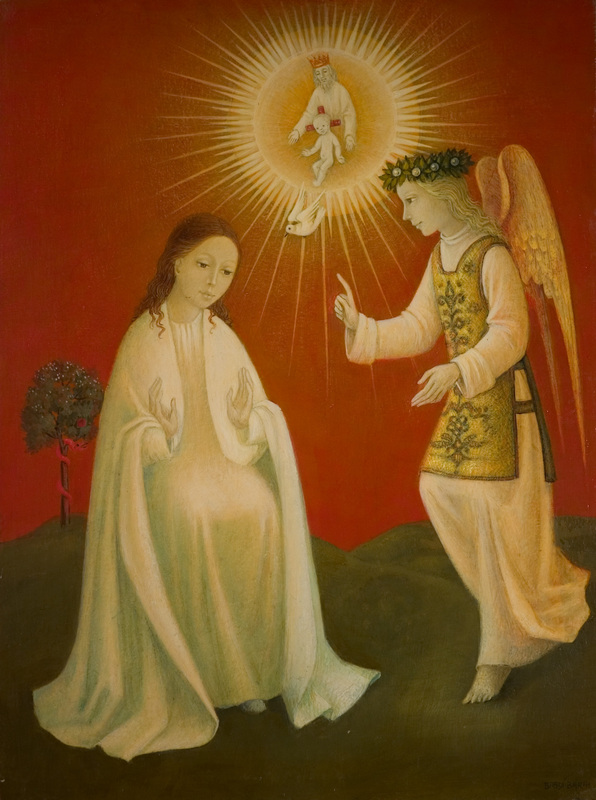 The luminous angel points to a vision of Mary with the infant Christ in her womb and the dove of the Holy Spirit above her. 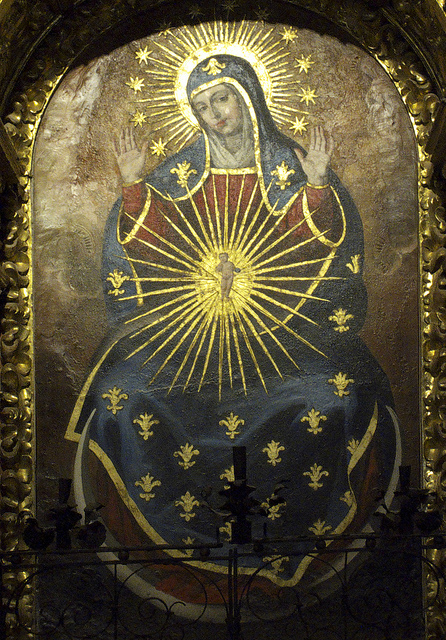 The veneration of the expectant Virgin as protectress of women in childbirth was prevalent at the Spanish court and was promoted by the royal confessor. Francisco Rizi was the Spanish-born son of a Bolognese painter who went to work for Philip II at the Escorial in 1583. Rizi, who became royal painter to Philip IV in 1658, was also active as a stage designer. “An angel of the Lord appeared to him in a dream, saying, ‘Joseph, son of David, do not fear to take Mary your wife, for that which is conceived in her is of the Holy Spirit; she will bear a son, and you shall call his name Jesus, for he will save his people from their sins’ (Mt 1:20-21). Birnau is a pilgrimage church at the shore of Lake Constance, between Meersburg and Überlingen. It was built in 1746-1749 for the Cistercians monastery of Salem (Germany) by Austrian architect Peter Thumb. The church interior features notable frescoes by Gottfried Bernhard Göz as well as altars and stucco ornaments in rococo style by Joseph Anton Feuchtmayer. The Sanctuary of St. Mary of the Assumption in Altotting Bogenberg on a hill overlooking the Danube is the second largest and oldest pilgrimage site in Bavaria. The special feature of the arc mountain church is the sculpture of the pregnant Madonna (window in the womb with baby Jesus). Bogen’s greatest claim to fame is this shrine to Mary high atop Bogenberg. According to the legend, the Romanesque stone sculpture of Our Lady was found floating upstream on the Danube in 1104. In 1295 the chronicle of Oberalteich monastery for the first time mentions the legend of how the miracle-working statue which is revered in Bogenberg Church was found. According to that legend the statue had been floating upstream in the Danube and had landed on a rock in the river, which appears when the water level is low. This rock is still called “Marienstein”, i.e. Marys stone. Count Aswin of Bogen is said to have recovered the statue from the rock and to have taken it to the chapel of his castle. Then a church was built on Bogenberg Hill for the statue and the hill with the church was given to the monks of Oberalteich, who encouraged the pilgrimage to the miraculous statue. The statue shows Holy Mary heavy with child. It is also the reason why many of the pilgrims who came/come to Bogenberg were/are women praying for a good childbirth. “In Advent Christ rested in Mary still, silent, helpless, utterly dependent. The Creator trusted Himself to His creature….This was a foreshadowing of what the Incarnation would mean for us; for in us too, Christ rests as He rested in Mary. From the moment when the Christ life is conceived in us, our life is intended for one thing, the expression of His love, His love for God and for the world…. We must allow the Christ life to grow in us in rest. Our whole being must fold upon Christ’s rest in us, as the earth folds upon the seed.” Caryll Houselander, The Passion of the Infant Christ (London: Sheed and Ward, 1949). The Huldigungssaal in Goslar town hall was built from 1505 to 1520 as a Council Chamber. Here is a unique gem of late Gothic art : walls, ceiling and even the window recesses are completely lined with paintings. Varied carved tendrils crown the individual whiteboards. Each and every painting is a work of art that fits in with the overwhelming impression.. It took many years but the Huldigungssaal has now been restored, with security, climate and lighting upgraded to keep this unique ensemble of artwork in pristine condition.